It’s officially winter, which means double layers and sub-zero temperatures for the months ahead. It’s also time to give up on your #summergoals and conquer the impossible task of staying warm. But incorporating a fireplace is an unpopular add-on for granny flat owners. Not only do they take up valuable space, but they turn your precious mini dwelling into a storm of dust and ashes. Luckily, there’s another perk to living smart. Smaller dwellings heat up a lot quicker than a full-size home, so keeping your granny flat warm in winter can be a breeze (no pun intended). But you still need to have a strategy to to keep the winter chills out, especially if you’re in isolated parts of the country. 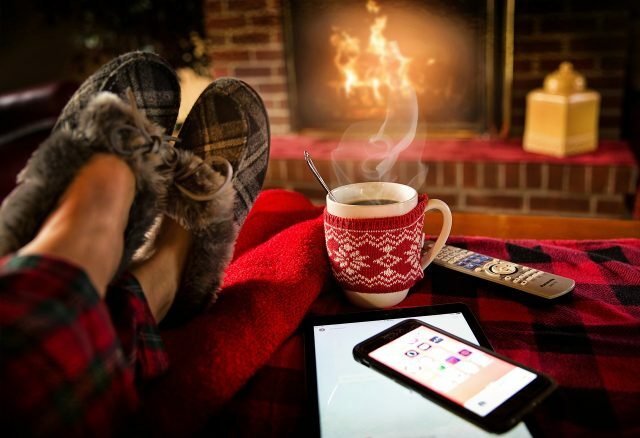 So here’s 3 tips to keep your toes sensual during the granny flat winter challenge, aside from crowding around a dusty old fireplace. On top of the endless reasons to stop eating take-out, home-cooking can be a great way to keep your granny flat warm in winter. Conventional ovens are a perfect source of heat, and the more you use them the warmer your dwelling will get. Plus, they make your granny flat smell like an authentic continental cookery. Who doesn’t like the smell of dinner crawling around your living space every night? The best part is that it’s a double-win. You get to enjoy tasty (and hopefully healthy) home-cooked food while you keep your entire family warm. Leave your oven open when you’re finished cooking too. It’ll help your food cool quicker while spreading the heat. There’s a small risk of doing this with a gas oven though, because they release trace amounts of toxic fumes. It’s best to stick to conventional electric ovens instead (they’re better for you overall), which is why all our granny flats come pre-installed with electric Westinghouse ovens. Don’t use the oven solely for the purpose of heating though. It’s inefficient and expensive, so just use the added warmth as a bonus to your cooking habits. Ceramic tiles are the silent villain of winter. They’re usually the biggest culprit for emitting cold air. If your granny flat flooring is complete tile, then cover as much as possible with large rugs and furniture. Every small bit counts, so don’t be afraid to find new ways to cover up. Another option is to choose traditional floorboards or carpet instead, as they’re a lot more temperature-neutral (read: they won’t turn your granny flat into a chiller). Floorboards and carpet are also a lot easier to walk on without footwear, so you can keep your granny flat cleaner while also staying warm. But the downside is that you won’t have a natural source of chill in the gruelling summer months, and floorboards and carpet don’t resist water as well as ceramic. It’s a trade-off you’ll have to decide for yourself. It won’t be cold forever, so check out these tips on keeping your home cool when summer rolls around. We don’t like resorting to the obvious, but it’s hard to think of a better way of staying warm in your granny flat than the trusted air-conditioning. That’s what they’re designed to do, and they do it very well. You can also use them in summer when it gets too warm. But there’s a right and wrong way of using the A/C. To get the most out of it, and save power, close all the windows and doors in your granny flat while it’s on. The idea is to trap the heat in, so you can turn it off again as soon as possible. Make sure you close your bathroom and laundry doors too – the air vents and ceramic tiling just force cold air into your dwelling again.